For anyone who has been blogging for some time, it can be an enjoyable task that conveys information in a semi-anonymous manner. As trend-setters continue to revamp their strategies in order to grab more readers, many have decided to use video blogging as a way to increase their clout and online presence. While video blogging may sound simple, it does require attention and effort in order to be successful – just like regular blogging, but a few different twists. Below, we will discuss the main benefits to video blogging, as well as a couple of drawbacks, so you can make the best decision possible on the matter. Many well-done video blogs enjoy massive circulation – not just through the blog directly, but through social shares, emails and suggestions. When a well-considered video blog is created, viewers will be much more likely to trust you; it’s only human nature that when we can see someone and judge their voice, facial expressions and gestures, we tend to have a more “intimate” connection with both that person and the subject. Video blogs are also very appealing to share on sites like Facebook and Twitter, so you can expect that many people who would not otherwise read your blog will see your multimedia content. When limited to just simple text, you can only be so creative. Video blogging, however, allows you to do more than just sharing the URL with your subscribers and pinging online directories. Whether it’s visiting unique locations from which you can broadcast your blogs, using interesting backdrops, demonstrating how-tos in person or otherwise taking a hands-on approach, video blogging gives you an added ability to demonstrate and display creativity – which will pique the interests of more of your “readers”. Video blogging opens up opportunities that mere text cannot provide, so don’t be afraid to start recording and display your creativity. Even though platforms like YouTube have been in use for years, many bloggers have failed to utilize its potential. 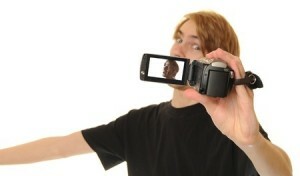 Some are simply bashful, while others may not feel they have much to offer by doing video blogs. Not true! Nobody is preventing you from creating your usual standard blog posts, but converting them into video format can give you more opportunities in which to reach people. When someone stumbles across one of your video blogs on YouTube, you can use that as a jumping point to promote both your standard blog and your other video blogs – there simply is no excuse not to use this when pinging online posts. Some of your readers will ultimately not appreciate technology and will prefer to read your posts rather than watch them. This is fine, and can be rectified by providing a text-based version of the same video – but of course, this will increase your overall commitment to the blog. You will also need to make certain tweaks to your blog to make it optimized for video, and the file sizes of videos (if hosted locally) will add up quickly. By and large, however, getting around these obstacles only takes time or ingenuity; video blogging is a relatively simple task and accommodations can be easily made.